The famous non-alcoholic herbal drink made from over thirty herbs, berries and spices to an ancient monastic formula. Said by the monks to be ‘’natures answer to tenseness tiredness and the lowness of spirits’’. 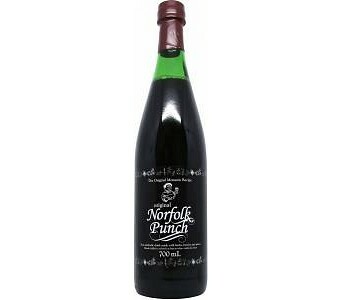 Although original norfolk punch contains no alcohol it has a remarkable ability to induce cheerfullness and vitality. Made entirely in australia to the only original secret formula. A wine glass full each morning and evening will allow the gentle but potent herbs to restore the natural balance of your body. Serve piping hot to release the full benefit of the herbs, or as a refreshing chilled beverage on hot days that will help replace any lost energy. Norfolk Punch is the perfect accompaniment to any meal. The ingredients of Original Norfolk Punch include: Fennel, Cornflower Poppy, Ginger Root, Vervain, Linden/Lime Flowers, Camomile, Daisy, Dock, Hops, Liquorice, Clove, Nutmeg, Lemon Balm, Peppermint, Feverfew, Ground Grapeskin, Angelica, Rosemary, Linden/Lime Leaves, Bay Leaves, Cinnamon, Elder Flower, Elder Berry, Alehoof, Meadowsweet, Carraway, Dandelion, Alder Leaves, Thyme and Samphire.